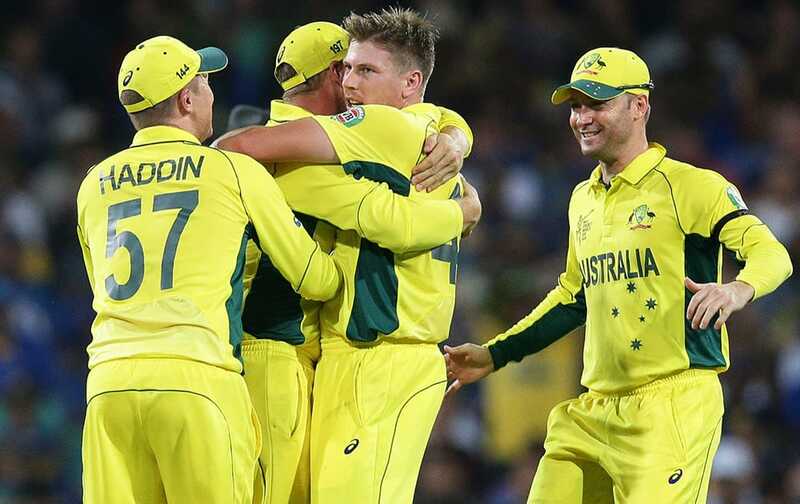 Australia’s Glenn Maxwell, third left, greets teammates after they defeated Sri Lanka in their Cricket World Cup Pool A match in Sydney, Australia. 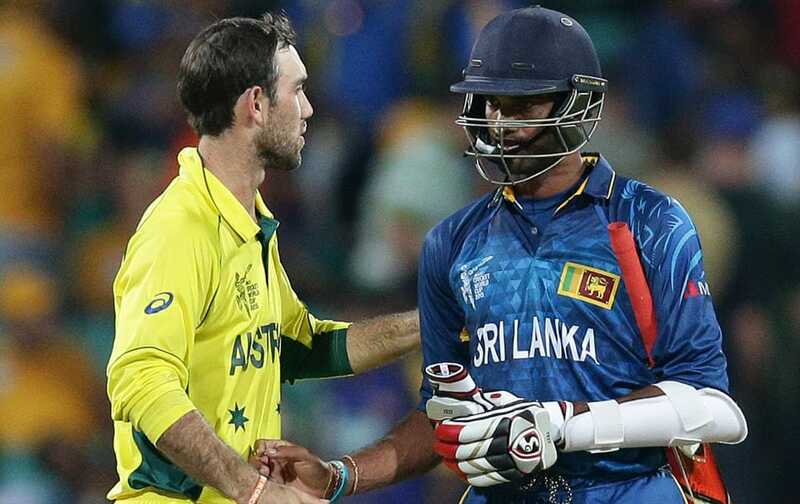 Australia’s Glenn Maxwell, left, greets Sri Lanka’s Sachithra Senanayake after Australia defeated Sri Lanka in their Cricket World Cup Pool A match in Sydney, Australia. 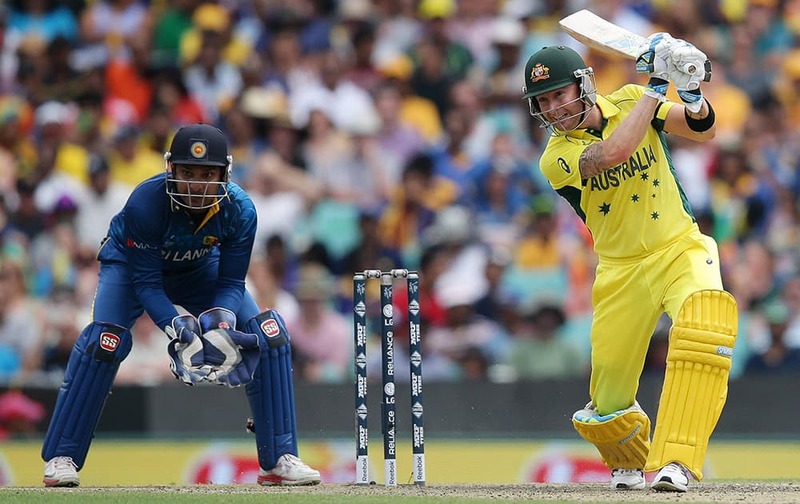 Australia’s David Warner tries to catch a sixer from Sri Lanka’s Angelo Mathews during their Cricket World Cup Pool A match in Sydney, Australia. 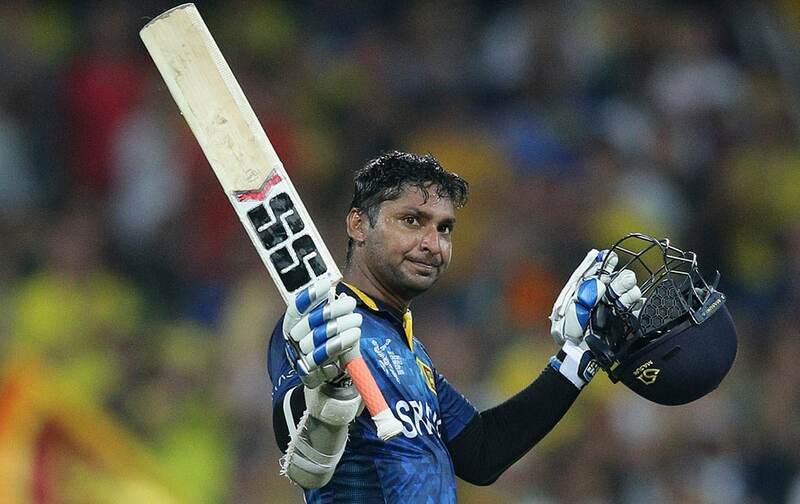 Sri Lanka’s Kumar Sangakkara, celebrates his hundred runs during their Cricket World Cup Pool A match against Australia in Sydney, Australia. 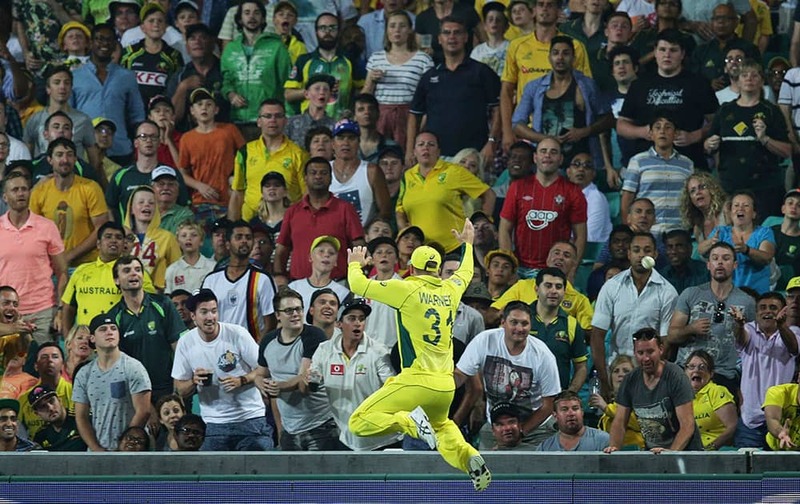 Australians celebrate the dismissal of Sri Lanka’s Kumar Sangakkara, during their Cricket World Cup Pool A match in Sydney, Australia. 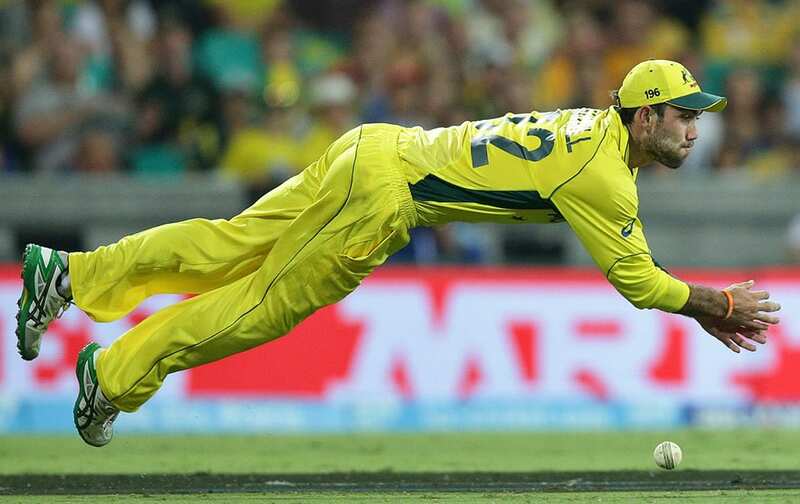 Australia’s Glenn Maxwell attempts an unsuccessful catch during their Cricket World Cup Pool A match against Sri Lanka in Sydney, Australia. 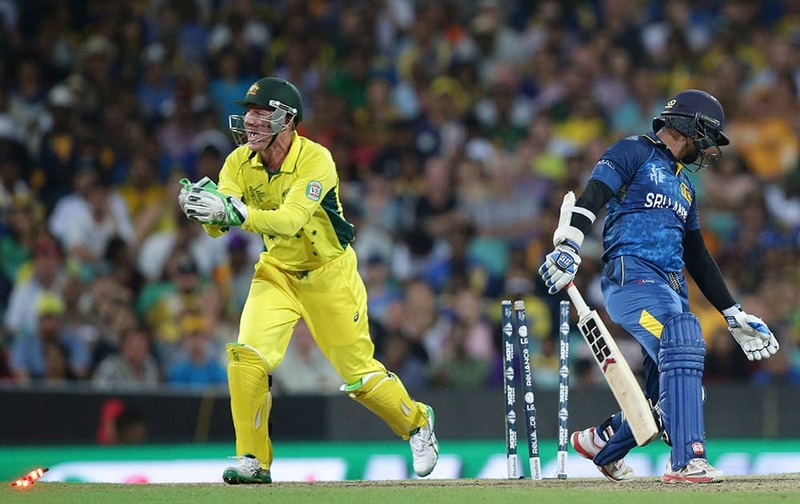 Australia's Brad Haddin, attempts unsuccessfully to dismiss Sri Lanka’s Kumar Sangakkara, right, during their Cricket World Cup Pool A match in Sydney, Australia. 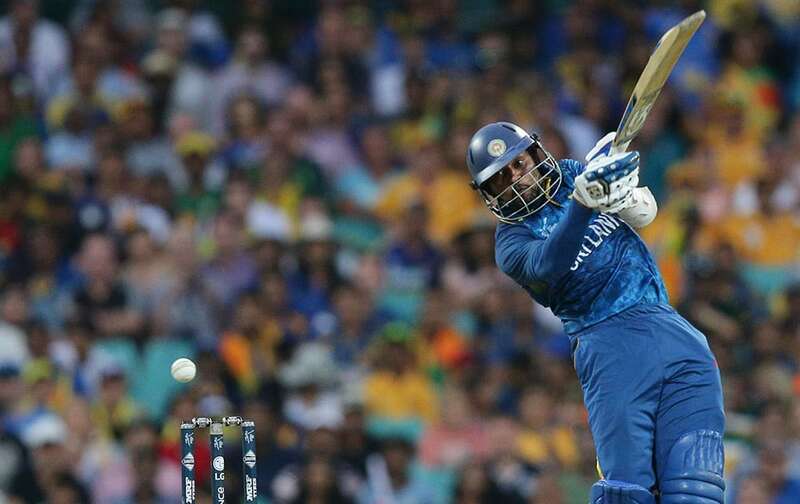 Sri Lanka’s Tillekaratne Dilshan bats during their Cricket World Cup Pool A match against Australia in Sydney, Australia. 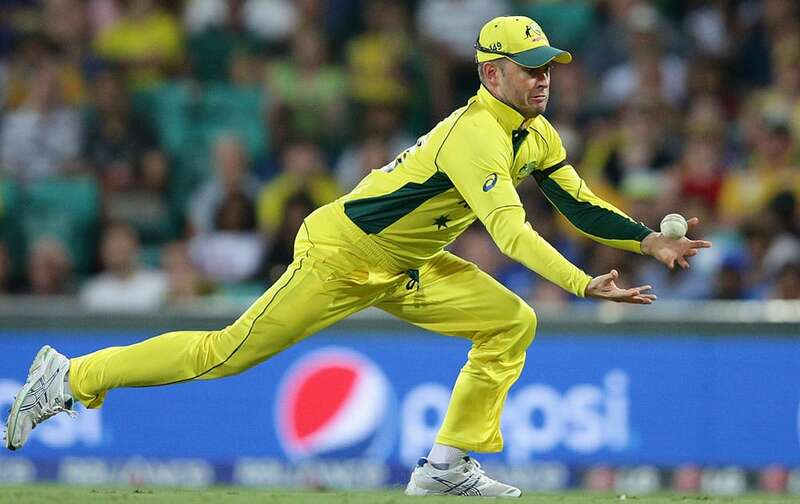 Australia’s captain Michael Clarke attempts a catch that he dropped during their Cricket World Cup Pool A match against Sri Lanka in Sydney, Australia. 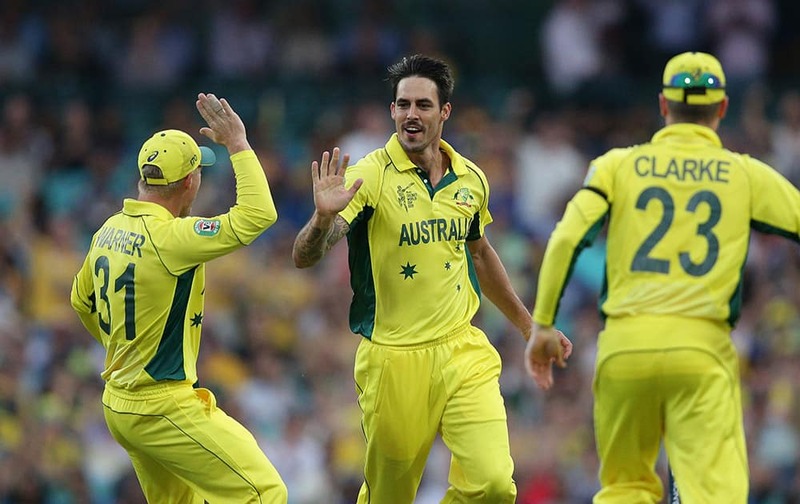 Australia’s Mitchell Johnson, center, celebrates the wicket of Sri Lanka’s Lahiru Thirimanne, during their Cricket World Cup Pool A match in Sydney, Australia. 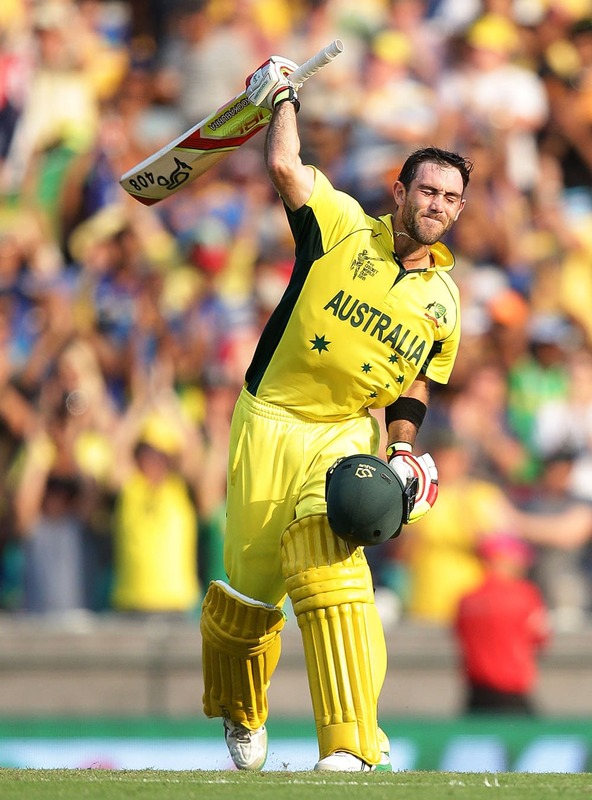 Australia's Glenn Maxwell celebrates after scoring a century while batting against Sri Lanka during their Cricket World Cup Pool A match in Sydney, Australia. Sri Lanka's Thisara Perera attempts to take a catch during their Cricket World Cup Pool A match against Australia in Sydney, Australia. 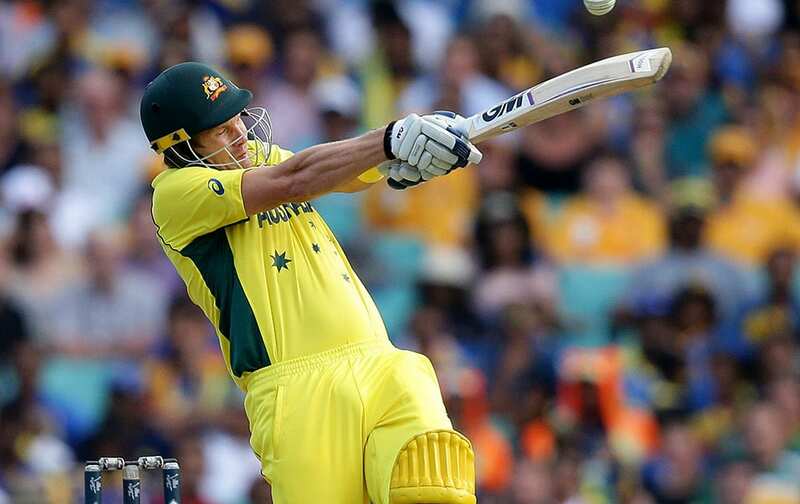 Australia's Shane Watson hits the ball to the boundary while batting against Sri Lanka during their Cricket World Cup Pool A match in Sydney, Australia. 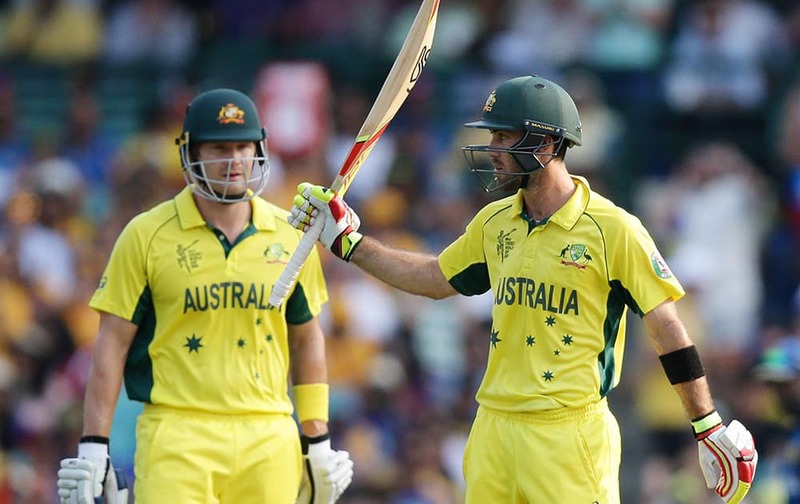 Australian batsman Glenn Maxwell waves to the crowd after scoring 50 runs as teammate Shane Watson watches during their Cricket World Cup Pool A match against Sri Lanka in Sydney, Australia. 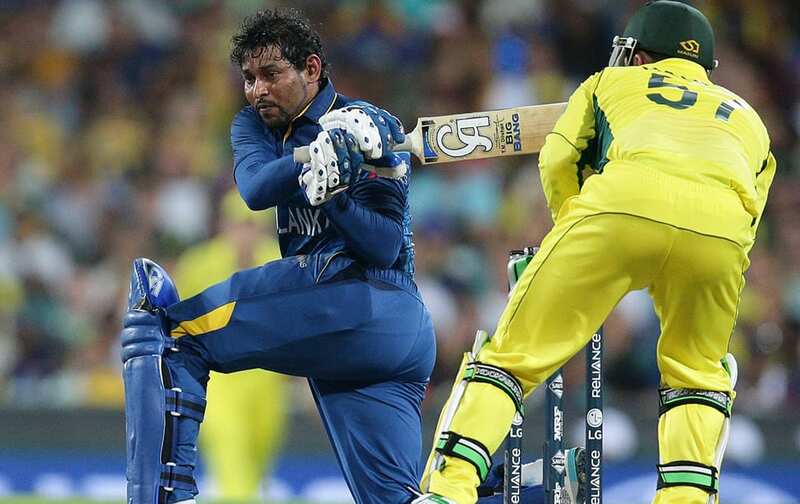 Australian batsman Michael Clarke plays a shot as Sri Lanka's Kumar Sangakkara watches during their Cricket World Cup Pool A match in Sydney, Australia. 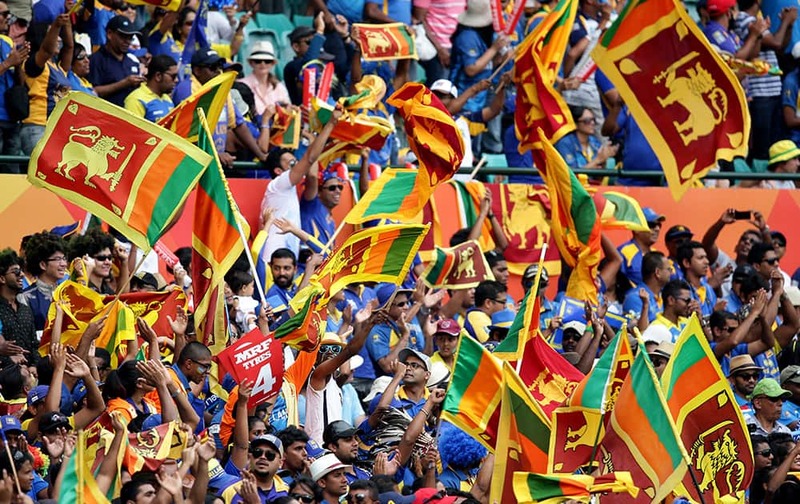 Sri Lankan fans cheer on their team during their Cricket World Cup Pool A match against Australia in Sydney, Australia. 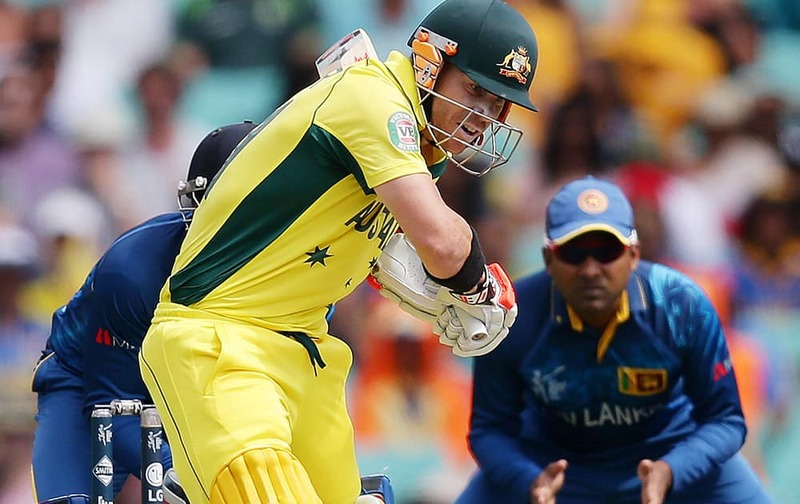 Sri Lanka's Angelo Mathews appeals unsuccessfully for the wicket of Australia's Steve Smith during their Cricket World Cup Pool A match in Sydney, Australia. 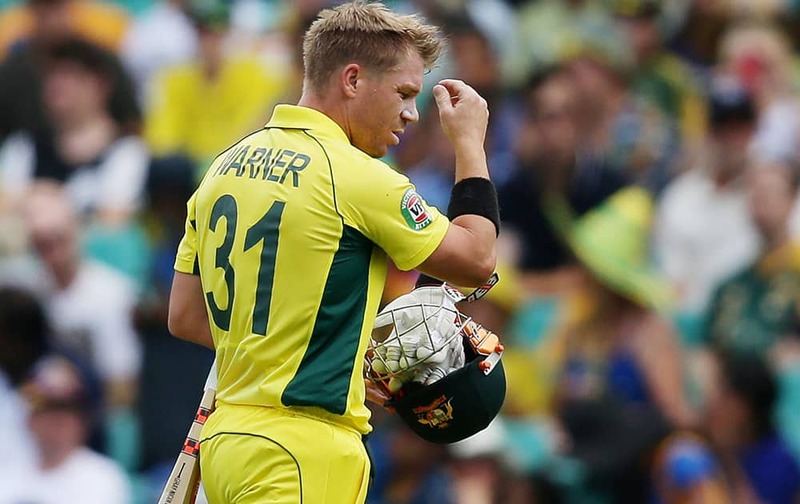 Australia's David Warner walks from the field after he was dismissed for nine runs during their Cricket World Cup Pool A match against Sri Lanka in Sydney, Australia. 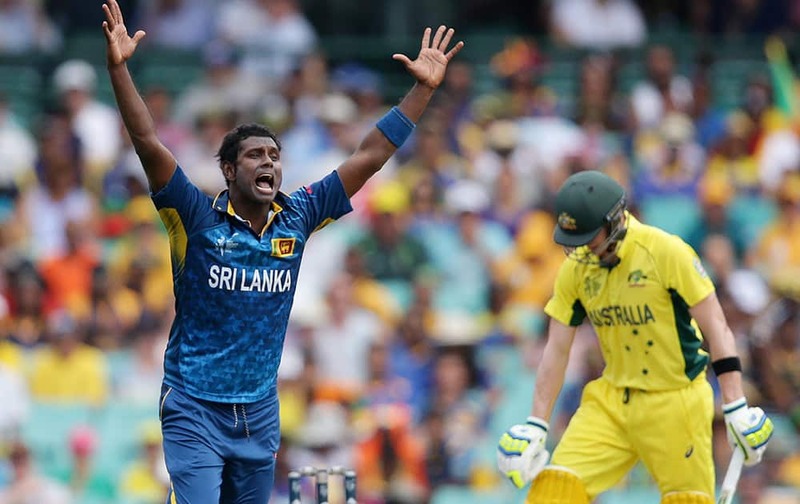 Sri Lanka's Angelo Mathews, right, celebrates with teammate Seekkuge Prasanna after the dismissal of Australian batsman David Warner during their Cricket World Cup Pool A match in Sydney, Australia. 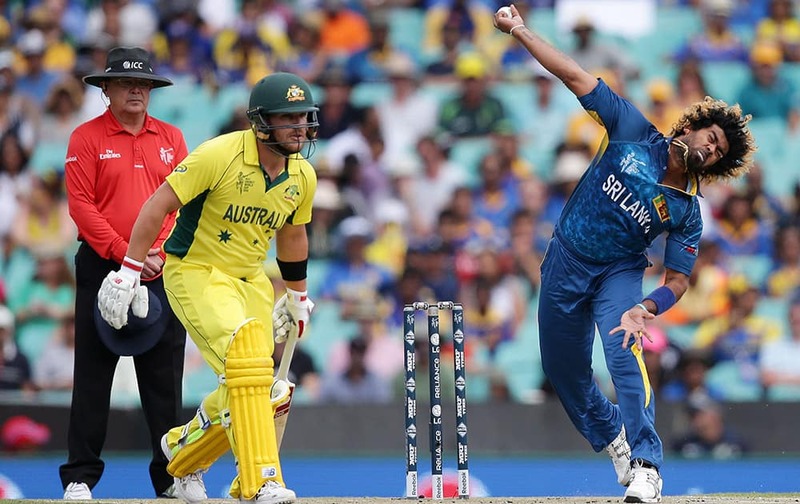 Sri Lanka's Lasith Malinga bowls as Australian batsman Aaron Finch watches during their Cricket World Cup Pool A match in Sydney, Australia. Australian batsman David Warner looks to play a shot during their Cricket World Cup Pool A match against Sri Lanka in Sydney, Australia.